Born: 16th March 1894, Ipswich. Died: 31st May 1916; age 22; KiA – in the Battle of Jutland. Employed: Messrs. E.R. and F. Turner, of St. Peter’s Foundry, Ipswich. Enlistment Details: Date: 7th June 1915 signed up for the hostilities; Occupation: Fitter. Height: 5ft 5ins, dark complexion, grey eyes & brown hair. ‘Pembroke II’ 7th June 1915 – 6th July 1915. ‘Indefatigable’ 7th July 1915 – 31st May 1916. Rank: Engine Room Artificer 4th Class; Service Number: M/13818. Regiment: Royal Navy, H.M.S. ‘Indefatigable’. Relatives Notified & Address: Son of William Golden Bugg, of Ipswich; husband of May Cook (formerly Bugg), of 58, Cavendish Street, Ipswich. 1901 89, Woodhouse Street, Ipswich. Stanley was 7 years old and living with his parents & siblings. William Golden Bugg, an Engine Maker, born Fleet Lane, London. Emma Bugg (nee Spall), 45, born Sutton, Suffolk. Albert Edward Bugg, 17, an Engine Maker, born Ipswich. Walter Horace Bugg, 15, an Engine Maker, born Ipswich. Ethel Emily Bugg, 12, born Ipswich. Sidney George Bugg, 10, born Ipswich. 1911 50, Devonshire Road, Ipswich. Stanley was 17 years old, an Apprentice Fitter. He was living with his brother & his family. 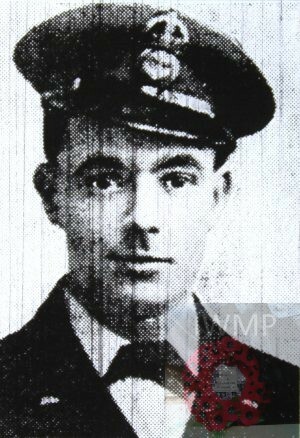 William James Bugg, 35, an Engine Fitter – General Engineers. Gertrude Elizabeth Bugg (nee Fenn), 33, born Ipswich. William Frederick Bugg, 11, born Ipswich. Stanley’s father, William Golden Bugg, died 1901, Ipswich. His mother, Emma Bugg, died 1909, Ipswich. In 1915, Ipswich, Stanley married May Taylor, born 1893, Latchingdon, Essex.